Unbreakable Runner, a new book by Brian MacKenzie and T.J. Murphy, advocates a low mileage-high intensity training regimen that includes strength training and drills to prevent injuries caused by muscle weakness and bad form. MacKenzie teaches this approach to runners who sign up for the CrossFit Endurance program he founded in 2008—and he has many satisfied customers. In their book, MacKenzie and Murphy take it as a given that runners who run more get injured more. However, recent research suggests the opposite is true. The research argues that running a lot is a more effective way to train for maximum running fitness and minimal injury risk. 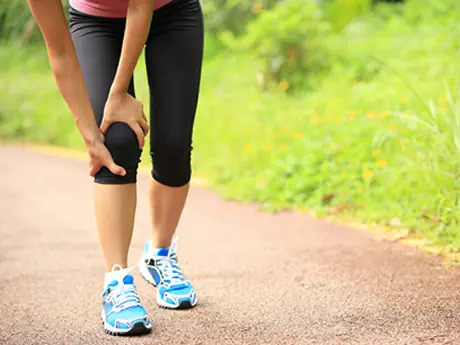 A 2013 study by Danish researchers found that among 662 runners training for a marathon, those who ran less than 30K per week were injured more than twice as often as were those who ran 30 to 60K per week. Those who ran more than 60K were not injured any more often than were those who ran 30 to 60K per week. A 2014 study published in the Journal of Science and Medicine and Sport reported that within a group of 517 recreational runners, those who ran the least were injured most often. Other studies have produced similar findings. Why do runners who run more get injured less? There are two main reasons. One is that running alone develops the specific kind of durability that makes the body resistant to running-related injuries. All of the strength training and technique drills in the world won't match the toughening effect of actual running. This was shown in a 2012 study by researchers at the University of Groningen in The Netherlands. A sample population of 432 novice runners was split into two groups. One group went through a four-week pre-conditioning program designed to reduce injury risk before proceeding onto a nine-week running program. The other group jumped straight into the nine-week running program. Injury rates were the same in both groups. Compare these results to a 2014 study conducted by Mitchell Rauh at San Diego State University. Rauh compared summer training patterns against fall injuries in a sample population of 421 high school cross-country runners. He found that athletes who ran eight weeks or fewer suffered significantly more injuries during the first month of the cross-country season compared to athletes who ran more than eight weeks. The lesson of these two studies is clear: In order to minimize the risk of running-related injuries, you need to build durability. Only running itself builds the kind of durability that prevents running-related injuries. Drills and strength training just don't cut it. More: Can Strength Training (Really) Make You a Faster Runner? Active Expert Matt Fitzgerald is a running and triathlon coach, certified sports nutritionist, and author of numerous books, including Diet Cults and 80/20 Running. He serves as a training intelligence specialist for PEAR Sports and provides individual diet coaching services for athletes at racingweight.com. Learn more at mattfitzgerald.org.